Kedah Cement placed this order with Siwertell for a ship loader, in order to increase the loading capacity, following an upgrade of the Kedah Cement production plant on Langkawi Island, Malaysia for an estimated annual throughput of 1.5 million tonnes. 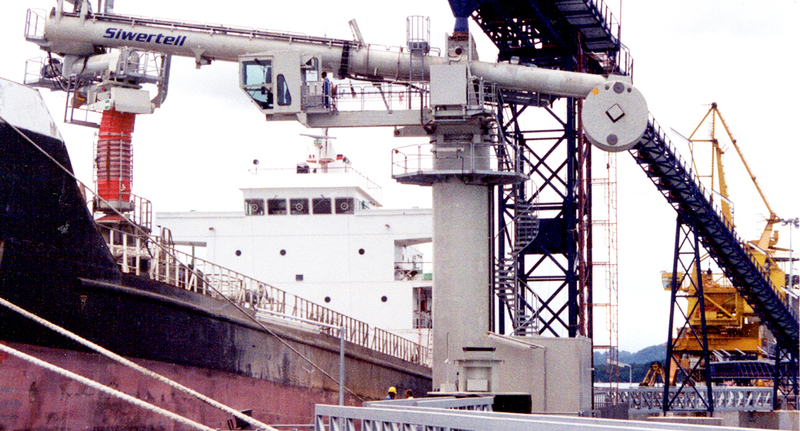 The scissor arm design allows the Siwertell loader to reach any point in the ship’s hold, even though the it is pedestal-mounted - this machine is easily manoeuvred. One basic criterion when designing a Siwertell ship loader is to achieve dust-free operation with minimal spillage. The screw conveyor system offers a completely enclosed conveying line, from the feeding point to the discharge in the ship’s hold, which contributes to fulfilling these criteria.